The granule form, for top dressing or mixing with feed, is great for regular, everyday use or for larger stables. 90 day supply is 3 cases of 30 servings each and comes with a scoop. SUCCEED™ Digestive Conditioning Program is a revolutionary development in equine health management developed by Freedom Health LLC. 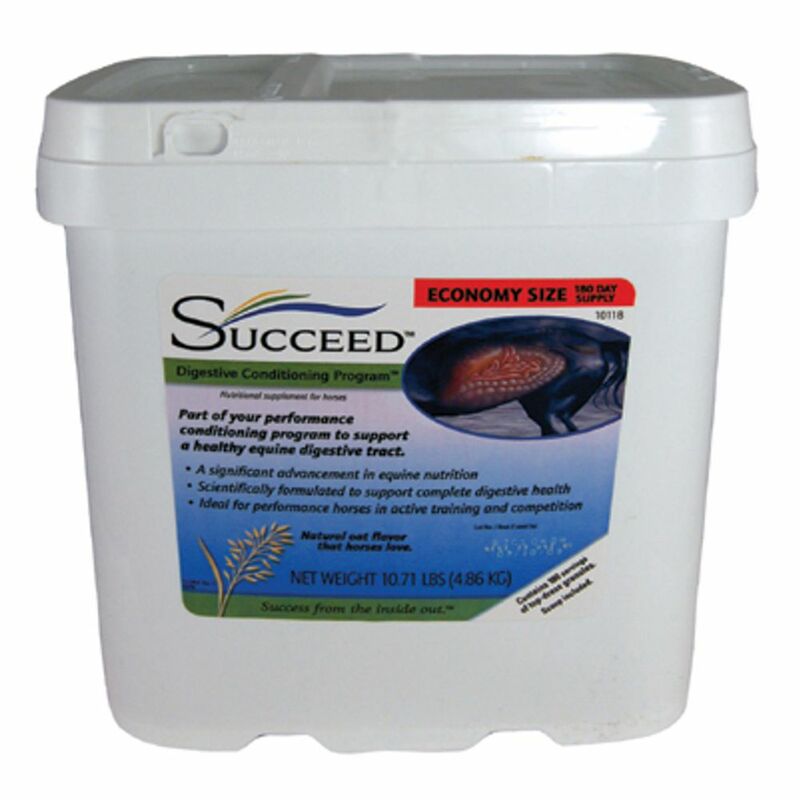 It’s scientifically formulated to support the entire equine digestive tract for optimal health and performance. The stresses of the performance horse lifestyle are unavoidable. Stalling, intermittent feeding, high grain diets, training, travel and competition all contribute to daily stress. That’s why Freedom Health created SUCCEED™ Digestive Conditioning Program – to support a healthy digestive tract in the face of these stresses. 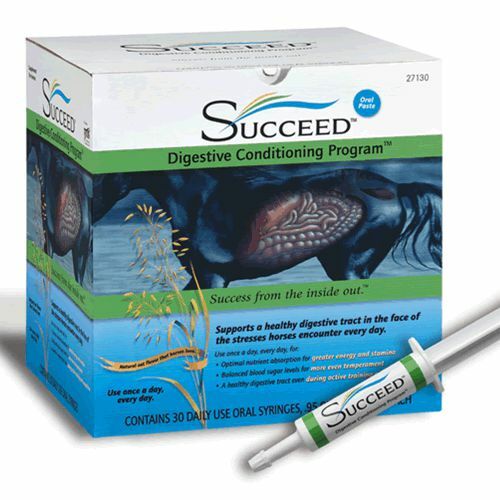 This exclusive digestive conditioning paste comes in easy-to-use oral syringes. Each syringe holds a single 27 gram dose, and comes 30 to a carton. A 90 day supply includes 3 cartons. The oral paste is ideal for getting horses started on the program, or for making absolutely certain the horse is getting the required daily dose.